Twin explosions ‎rocked Enugu Saturday morning as residents filled out to cast their votes in the Local Government election holding today in the State. The explosions occurred simultaneously at Coal Camp in Enugu North Local Government Area and Obeagu in Enugu-South Council Area. DAILY POST reports that a team led by the Enugu Commissioner of police arrested three suspects over the Obeagu explosion. Confirming the incident, the spokesman of Enugu police command, Mr. Ebere Amaraizu said “the incident of minor explosion at a spare parts workshop at the entrance in the morning of 4/11/17 leading to a polling station at coal camp axis of Enugu State did not interfere with the voting activities at the polling Centre as the process is still on course there. “There was a reported incident of explosion in the morning of 4/11/17 at the coal camp axis, which is an enclave of artisans like welders, mechanics, auto electricians amongst others. 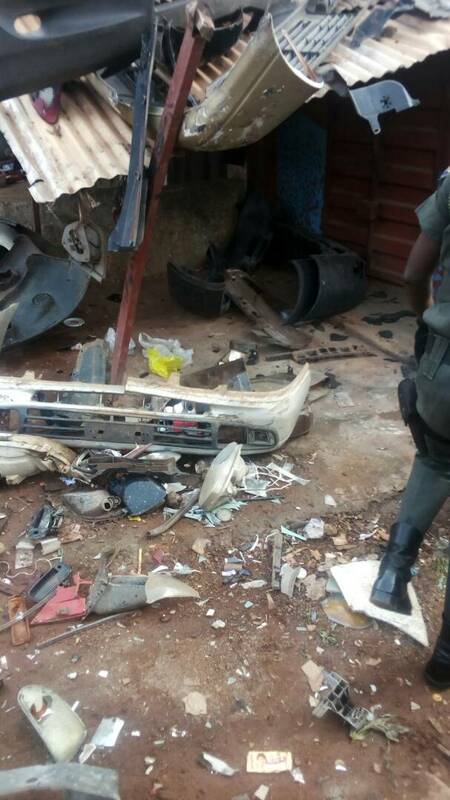 The careta‎ker committee chairman of Enugu South Local Government Area of Enugu State, Mr. Sunday Ugwu, while reacting to the blast, described it as unfortunate. ‎Meanwhile, voting has commenced in most of the council areas across the State. Governor Ifeanyi Ugwuanyi voted around 11:30 a.m in his Orba ward in Udenu Council Area.